!! 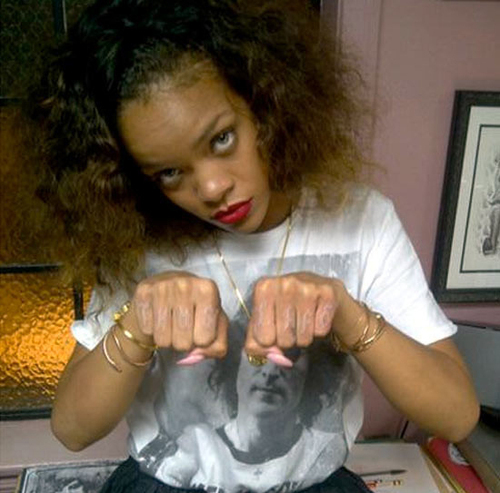 OMG, more like thug lite: Rihanna’s new tattoo !! 4 Comments on "OMG, more like thug lite: Rihanna’s new tattoo"
Mikey, seriously? Elton John? thats John Lennon for pete’s sake. Thug Life while wearing an Elton John t-shirt?